Amazon.com offers the Thayers Alcohol-Free Rose Petal Witch Hazel Toner with Aloe Vera, 12 ounce bottle for $6.52 via Subscribe & Save to check out. 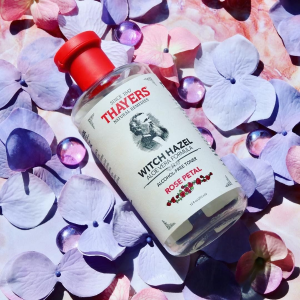 Features: Rose Thayer's remarkably soothing toner is made with rose-petal water, vitamin e and our proprietary witch hazel extract. Made in US.